Lake Escapes Boat Rentals delivers boats to the lake and launch of your choice, including Lake Coeur d’Alene. Awesome, right? But how do you decide which lake you want to explore? Maybe you want to fish or perhaps you’re just looking for a great view or maybe you’re out to enjoy the activities. Either way, you’ve got to decide which lake’s going to be the perfect place for your vacation. Well here’s the skinny on one of the best known lakes in the area, Lake Coeur d’Alene. We’ll talk about the other lakes in following posts but I figured we’d cover the lake with free boat delivery for this Monday. The View…is awesome. Known as one of the world’s most beautiful lakes, it spans twenty-five miles south of the town and boasts 109 miles of shoreline. While on the water you can see Northern Idaho’s gorgeous sunsets and luminous moonrises, plus the glowing lights of Coeur d’Alene reflected on the waves at night. Activities…abound! With public beaches, parks, docks and boat launches, it’s accessible for swimming, boating, picnicking and other water-related sports. If you’re looking for water skiing or wakeboarding, this lake’s great. Here’s a great resource for activities in the area. CDA Press. Fishing…year round. 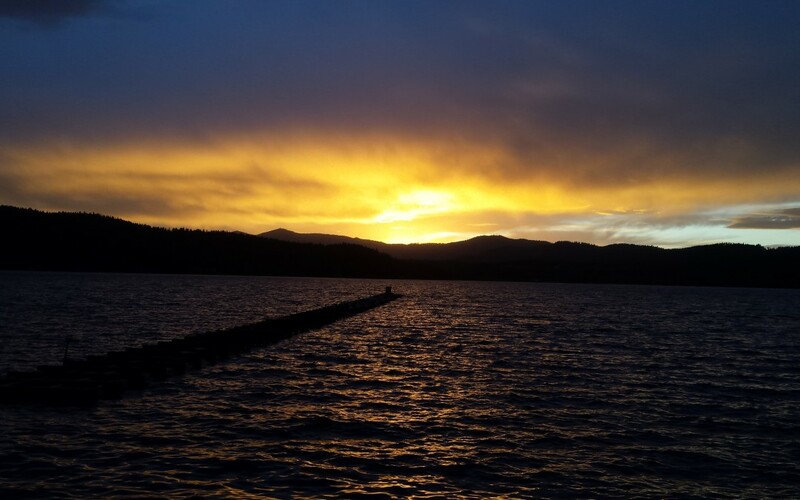 Lake Coeur D’Alene offers everything from Chinook salmon to Bass (largemouth and smallmouth), to Kokanee to Trout (just no harvest of cutthroat trout). If fishing interests you, be sure to check out the fishing guide for Coeur d’Alene. This guide covers everything from where the fish can be found to what bait to use, plus offers links to where you can get licenses online or at retailers. Nifty and useful site. So here’s to safe and wonderful boating on one of the most beautiful lakes out there.